Testimonial: Fume Extractor for Essential Oil Odors - Sentry Air Systems, Inc. 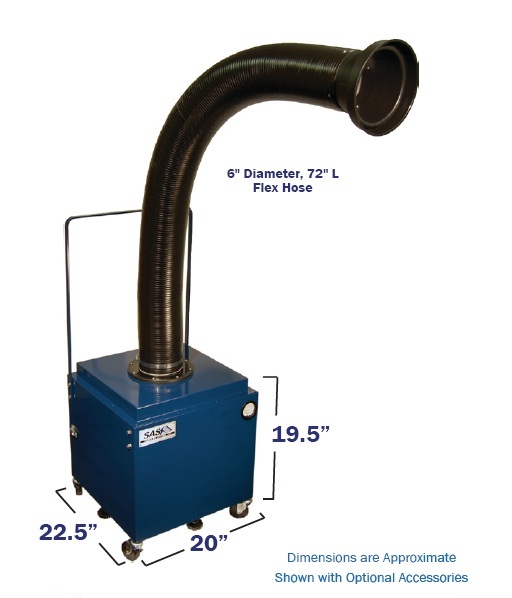 This energy-efficient portable fume extractor features heavy-duty casters and a flexible, self-supportive extraction arm that can be easily moved according to operator preference. This particular model is capable of up to 700 CFM of air volume. Other fume control options include Ductless Fume Hoods, Exhaust Hoods, and Wall-Mounted Fume Extractors. 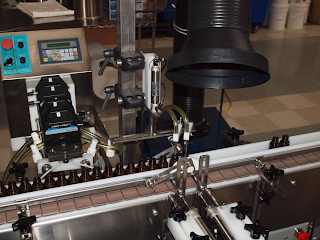 To find out more about fume control solutions for volatile oil compounds, please give us a call at 1.800.799.4609, email us at sales@sentryair.com, or fill out this simple online form to receive additional information from a Sentry Air Systems’ Applications Specialist.